Pugnacious director David O Russell returns to the big screen after 2010's boxing drama 'The Fighter'. His latest offering, 'Silver Linings Playbook' is a romantic comedy-drama, starring Bradley Cooper and Jennifer Lawrence, out today in UK cinemas. Recent Mercury Music Prize victors Alt-J have slotted a new track into the film's soundtrack - listen to 'Buffalo' below. While the band's appearance on a film soundtrack might come as a surprise to some, others will have noted that the band exhibited many film influences throughout their debut album 'An Awesome Wave' - the 'Léon'-inspired 'Matilda', for example. So I imagine the band excitedly took the opportunity to be part of 'Silver Linings Playbook', which already looks set for plenty of award nominations. 'Buffalo' is not particularly a departure from the typically excellent Alt-J fare - the quietly melodic guitar lines and distinctive vocals, lightly draped by a minimal experimentalism. The difference here though is the addition of American folk trio Mountain Man, adding haunting backing vocals. However, beware the dodgy lyrics about "the buffalo from Buffalo...". 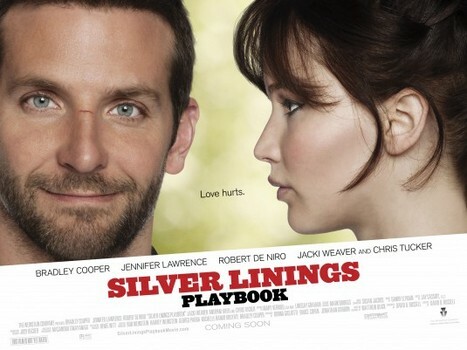 'Silver Linings Playbook' is out in UK cinemas today.